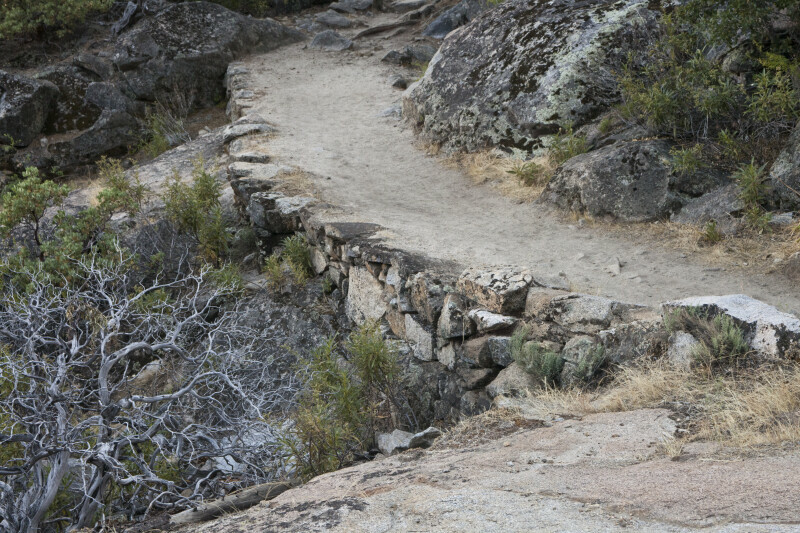 This is a section of hiking trail, in the Hetch Hetchy Valley. This section of the trail has been improved, by reinforcing it with a rock wall. There is a dead manzanita just below the trail.